NEWPORT — More than two-dozen leaders and experts from across Caledonia, Essex and Orleans counties are sharing their recommendations for progress in the region, after six months of discussion and deliberation. Two task forces convened by the nonprofit Northeast Kingdom Collaborative have each released a plan detailing projects that they believe can be started in 2019 and will have a measurable impact in areas crucial to the future of the Northeast Kingdom. These areas include developing a generation of local leaders and supporting economic growth at the intersection of the creative, recreational and food sectors. The release of these two plans represents a new phase for the revamped Northeast Kingdom Collaborative. The organization has been working to increase coordination and communication among NEK businesses and nonprofits for more than 20 years. During that time, it has assisted the U.S. Department of Agriculture’s Rural Development Rural Economic Advancement Program (REAP) in identifying priorities for investment in the region. In 2018, it launched a new strategy involving a reformatted governing board, a new paid director, as well as closer ties with private funders and the task force process. The Leadership Development Task Force put its weight behind six initiatives in its plan, “Grow Your Own,” after seeking public input through three Leadership Summits last summer. One is to empower emerging local leaders by launching an intensive NEK leadership institute and a more informal women’s leadership learning circle. Another is to offer more affordable and accessible professional development opportunities through a new series of classes, as well as a new NEK Training Scholarship Fund. Other initiatives are to connect current and emerging leaders via a new mentor network and integrate new community members through a new outreach program. 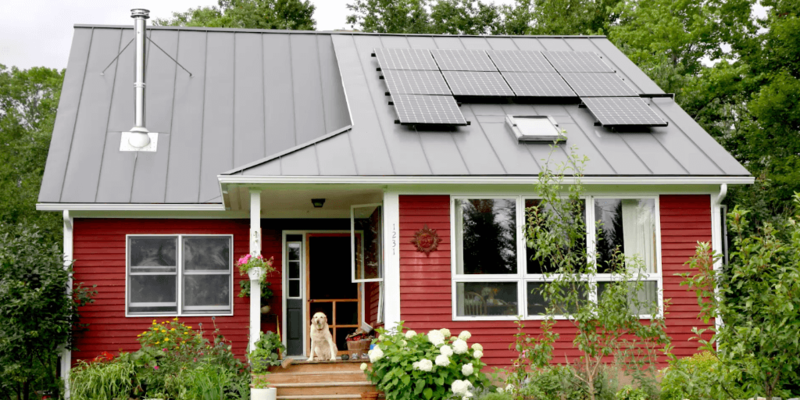 Among the organizations taking the lead in pursuing these projects are Northwoods Stewardship Center, NEK Young Professionals Network, Northern Vermont University, and the Northeastern Vermont Development Association. This tri-sector task force focused on how to advance economic development at the intersection of the region’s three most dynamic sectors, which includes the creative, recreation, and food sectors. In a report, the collaborative prioritizes five initiatives. One is to coordinate and expand marketing the region by establishing an NEK Regional Marketing Partnership Advisory Group with several specific priorities. 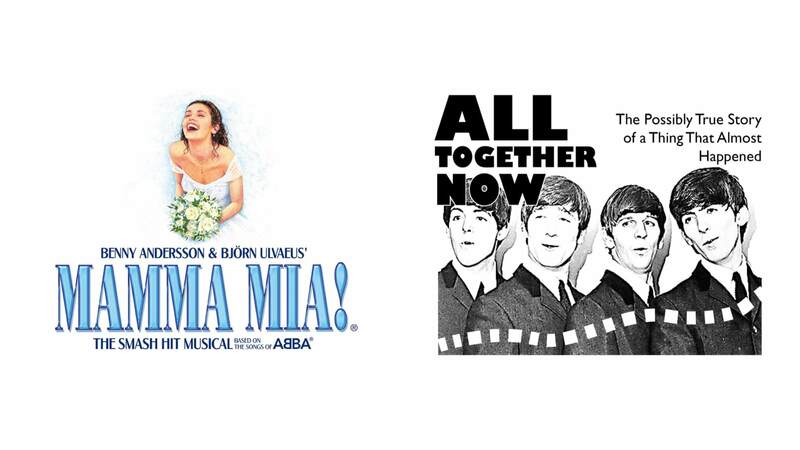 Another is to sustain and grow place-based events by formalizing an “NEK Event Backbone” program run by a regional event assistance provider. Other initiatives put forward are to enhance economic growth through rural community hubs with new investments in infrastructure that would connect outdoor recreation assets to the creative and food sectors, as well as to expand access to tri-sector experiences for kids, by starting an NEK Kids Program Fund. Organizations leading these projects include Catamount Arts, Northern Forest Center and the Northern Community Investment Corporation. Both task forces focused in on the importance of increasing connectivity in the region by expanding access to business-class high-speed broadband in community hubs and true high-speed broadband to residences. Both recommended working with stakeholders to develop another detailed action plan for specific work in this area. 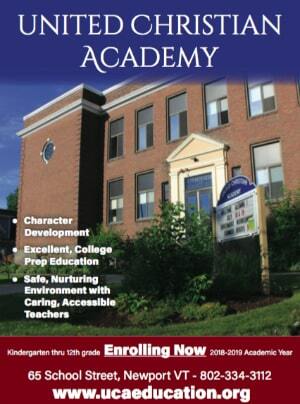 Greater details on the proposed programs, the Task Force process and the NEK Collaborative are available in the reports. 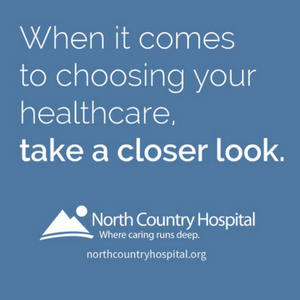 COVENTRY — A 22-year-old woman from Connecticut was transported to North Country Hospital after a two-vehicle crash in Coventry this morning. 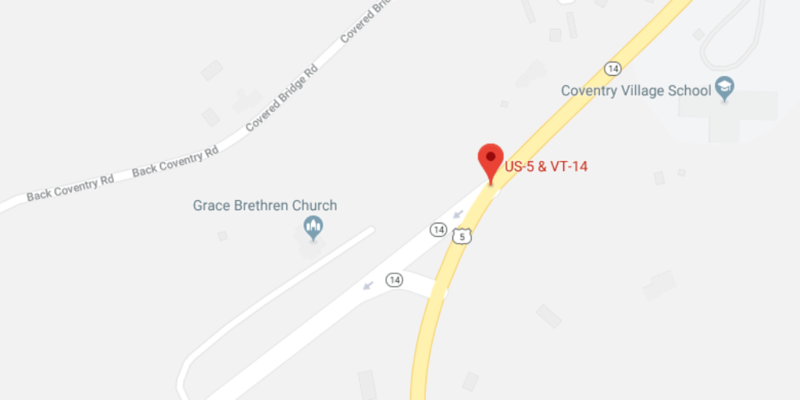 The police were notified at around 7:00 a.m. that a vehicle headed south on Vermont Route 14, sild through the intersection of Route 5 and collided with an unloaded tanker trailer. The driver was identified as Danielle Browning, of Hebron, CT.
Police say the truck was being operated by John Judd, 37, of Newport Center. Judd was headed north on Route 5, and according to the report, he noticed Browning’s vehicle approach the intersection unable to stop. He slowed down and moved as far to the right as he could but was unable to avoid the collision. 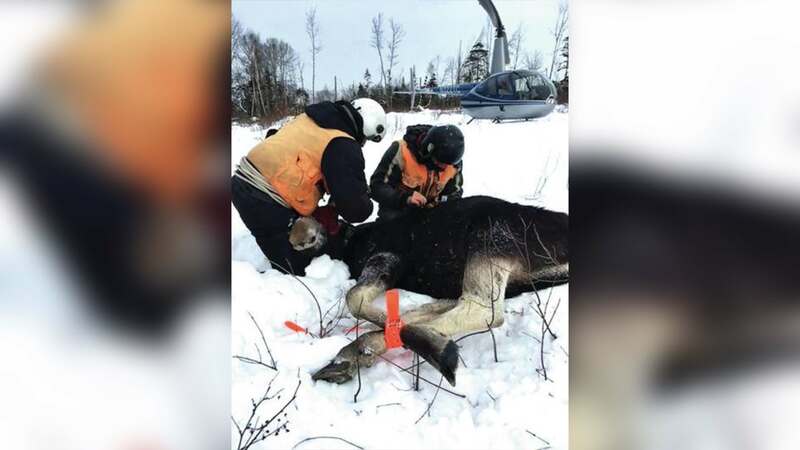 She was transported to North Country Hospital by Newport EMS. Newport Fire Department also arrived on scene and assisted. JAY — Vermont Agency of Transportation crews were busy at Jay Peak this morning during the snowstorm after vehicles were unable to make it up the hill. At 8:48 a.m. police responded to a report of a vehicle crash on Vermont Route 242, in Westfield, the back side of Jay Peak. There was one vehicle in the snow bank and 47 vehicles who were not able to make the hill to the resort and were blocking traffic. 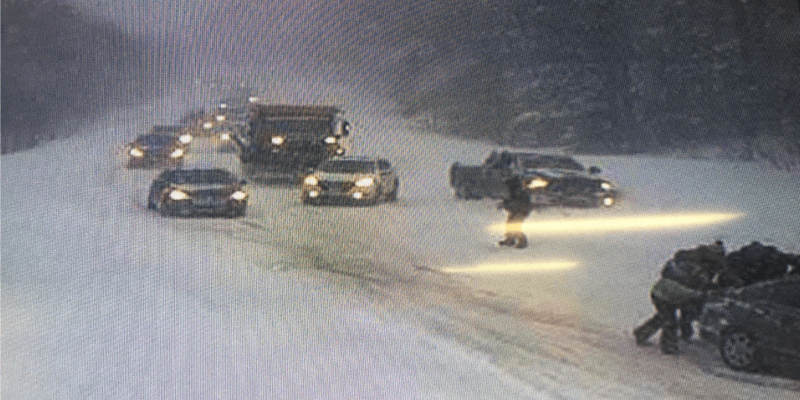 Both sides of Route 242 were shut down for approximately one hour while the vehicles were turned around to wait at the bottom of the mountain until AOT was able to plow the roadway for traffic to flow. At 11:14 a.m. the Vermont State Police were back in Jay after two tour buses got stuck trying to go up the mountain. One of the tour buses ended up blocking both lanes of travel. Route 242 was closed again for approximately one and a half hours. She was presented with the award surrounded by family, friends and the Justice Center board on Wednesday evening at the Goodrich Library. 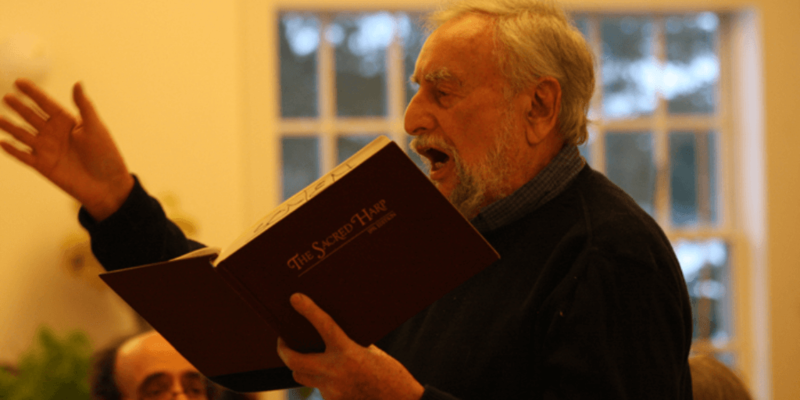 Rossi, a resident of Newport City, is involved with Girl Scouts, the ENCORE program at North Country Union Highschool, Newport City’s Promise Community, ReNewport, Big Brother/Big Sisters, and several other community-building initiatives. Last summer, she stepped forward at a city council meeting, petitioning the city to address the presence of drug activity in her neighborhood. Since then, she has worked persistently with others to lead a more vibrant and responsive neighborhood. Her many admirers say they appreciate her unflagging energy and can-do perspective. Her strength of character, community leadership, and courage to step out are primary reasons for selecting Rossi for this award. She is the first recipient of the award, designed to be given occasionally at the recommendation of the Justice Center board of directors. The recognition includes a small monetary gift and a hand-blown statue from Vermont artist Lada Bohac, of a giraffe. DERBY — A 35-year-old man from Newport escaped with minor injuries after rolling his vehicle on I-91 on Saturday night. Police and emergency crews responded at around 9:00 p.m. to a report of a single-vehicle rollover crash near mile marker 171 on I-91 south, in Derby. The driver was identified as Nathan Kemnitz. Police say Kemnitz reported minor injuries and was transported to North Country Hospital. According to the report he traveled off the side of the road down a slight embankment. The vehicle rolled and landed back on four wheels. Newport Ambulance and Derby Fire were at the scene to assist. EAST CHARLESTON — The NorthWoods Stewardship Center will be hosting the Wild & Woolly Snowshoe Races at their campus in East Charleston on February 9. The event kicks off from 9:30 a.m. and will go until 2:00 p.m.
During last autumn’s Westmore Mountain Challenge, organizers say participants requested a similarly spirited competition for the winter months. 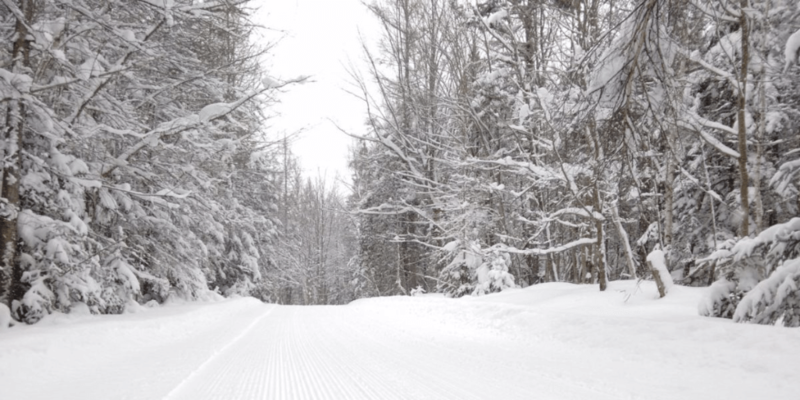 NorthWoods trails in February offer a true winter wonderland experience, and the Wild & Woolly is an invitation for the community to come out and explore. 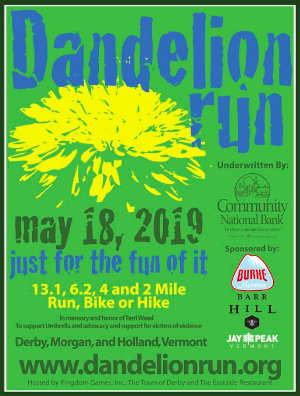 IronWood Adventure Works, which hosted the “24-Hours In the NEK” long distance run on NorthWoods trails last autumn, will be coordinating race set up and timing. The course will consist of a 5k, 10k, or 15k loop, traversing both groomed and snowshoe-packed trails through the varied terrain of NorthWoods’ forested campus in East Charleston, with a shorter 2.5k loop for beginners. According to Young, the event is geared not just toward athletes but to their families as well. A hearty lunch of chili and cornbread is included for all attendees and entry is free for children age 12 and under. 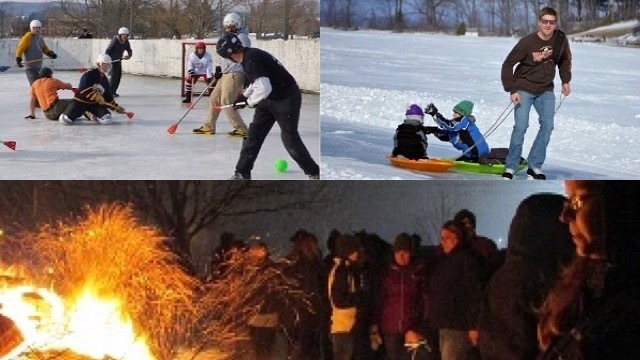 The event coincides with the Island Pond Winter Carnival weekend, providing a great opportunity for families to spend a day or weekend enjoying winter festivities in the Northeast Kingdom. 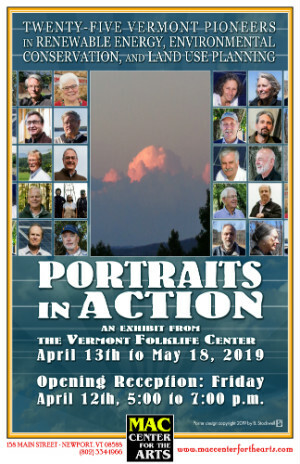 NEWPORT — Waterfront Cinema will be showing two videos from the Faces of Vermont Agriculture series, which is a collection of eight short video profiles that highlight outstanding stewards of the land who live and farm in the Green Mountain State. 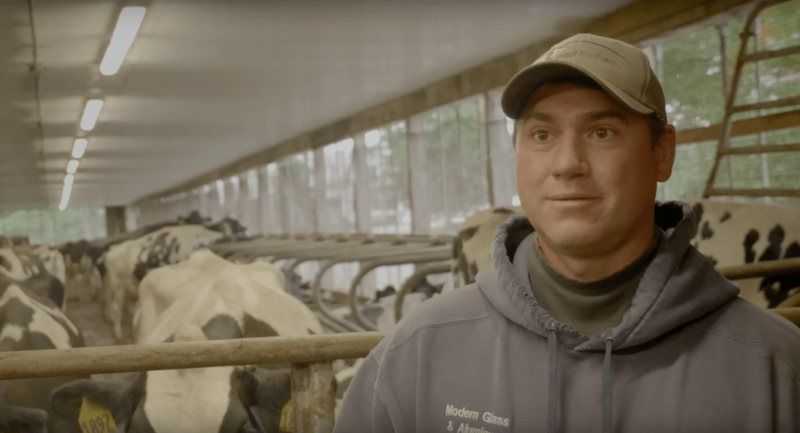 These dedicated farmers tell viewers in their own words, why conservation matters to their bottom line, to the health and sustainability of the resources on and around their farm, and to the future of farming. Two local farmers, Merle Young III, and Paul Lisai, are highlighted in the series and their video profiles will be featured as opening trailers to every movie at Waterfront Cinema in Newport for the next three months. Merle Young III, is a fifth-generation farmer who understands and believes in the importance of maintaining good soil health. He and his family have been working for many years to improve the farm’s soil health by seeding cover crops in the fall on their silage corn fields, following crop rotations, expanding their vegetative buffers and understanding the farms nutrient management plan, all of which reduce soil loss and protect water quality. The Young farm also has the only NRCS funded strip cropped fields in Orleans County. Strip cropping is the practice of growing planned rotations of row crops, forages, small grains, or fallow in a systematic arrangement of equal width strips across a field to reduce soil erosion from water and transport of sediment. Paul Lisai, former Orleans County NRCD board member, is doing a great deal of work to protect and improve his farm’s natural resources, including installing pasture infrastructure and implementing an intensive grazing system to improve the farms forages, soil health, milk production, and climate resiliency. “The short but powerful messages in the videos help the public better understand the efforts that many of our cherished NEK farmers are making to ensure that their impact on natural resources is beneficial.” Sarah Damsell, the Orleans County NRCD Manager said. 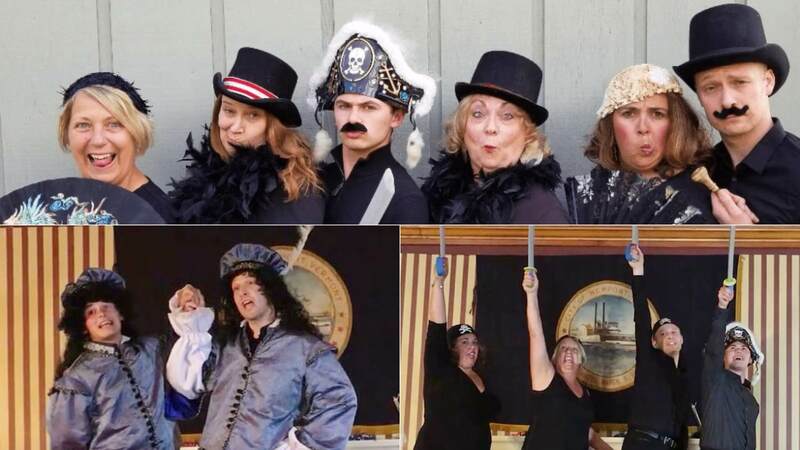 ST. JOHNSBURY — There will be a notable change at the Northeast Kingdom Chamber Legislative Breakfast to be held Monday, Jan. 28, at 8 a.m., at the St. Johnsbury House, 1207 Main St., St. Johnsbury. Unlike in years past, when local legislators gave committee reports during their allotted time, there will be far more discussion on the issues that directly affect the businesses and residents of the Northeast Kingdom. 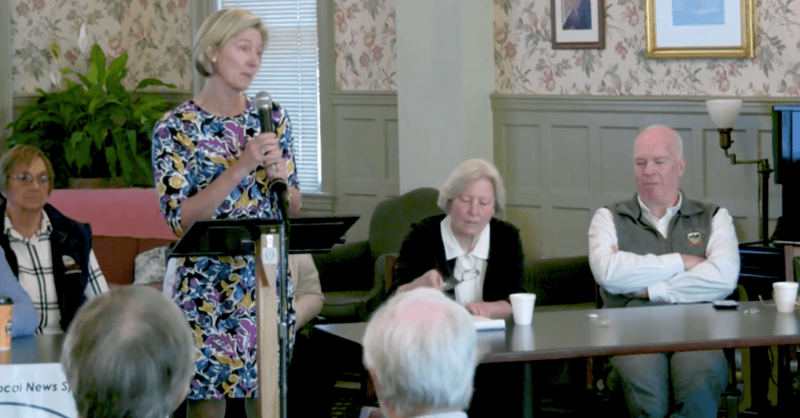 “In the past year, the NEK Chamber received quite a bit of feedback from people who want the sessions to be more Kingdom-centric, so we will be soliciting issues and concerns prior to each monthly breakfast for the chamber to either research or the local legislative contingent to address,” said Darcie McCann, chamber executive director. McCann noted the chamber has worked very hard to carve out more time for breakfast guests to ask questions of the legislators in past years and this latest change is the logical next step in making these sessions as responsive and relevant as possible. “The chamber bears a responsibility to cover as many of the necessary and critical issues affecting the region as we can and we will work closely with the legislators to ensure they are well prepared to answer any concerns,” she said. Topics that might be discussed include health care, labor issues, the carbon tax, permitting concerns, economic development issues, taxes and, fiscal policies, all issues that affect the Northeast Kingdom. 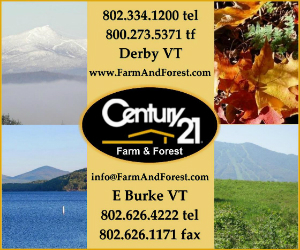 Individuals wishing to express any comments or region-wide issues may contact McCann at 802-748-3678 or director@nekchamber.com. These monthly programs provide area business people and residents an overview of the session and legislative issues affecting the region. The Northeast Kingdom Chamber organizes the monthly forums and provides a brief legislative report each month. Following legislator updates, there is always time allotted at the end of each breakfast for questions from the public. The breakfasts are held the last Monday of each month from January to May, from 8 to 9 a.m. There is a small fee to attend the breakfast. 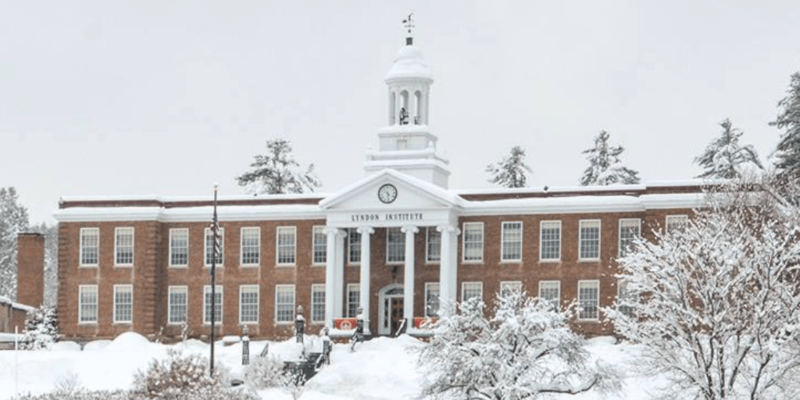 LYNDON — A teacher at Lyndon Institute who is accused of having an inappropriate relationship with a student is facing charges, police say. Anitra Lahiri, 44, of Bethlehem, New Hampshire, was arrested Tuesday and charged with sexual exploitation of a minor and disseminating indecent material to a minor. 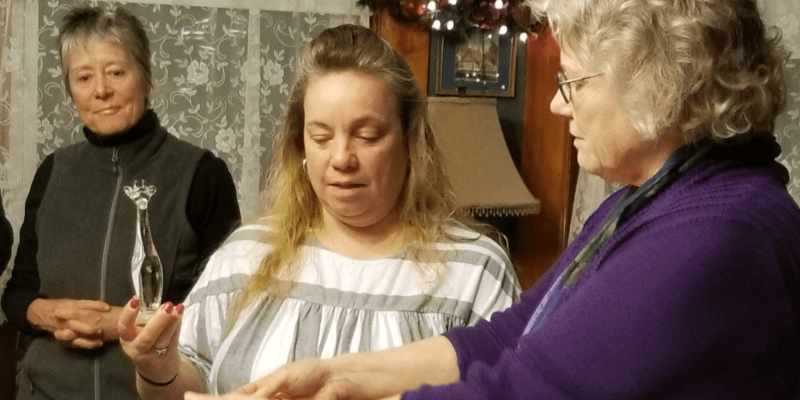 According to a statement issued by police, the Department of Children and Families began an investigation with State police into the matter back in November of 2018. They allege she had an inappropriate relationship with a minor who was a student at the school. Detectives said the relationship happened during the end of the last school year. Lahiri is scheduled to appear in Caledonia Superior Court on Jan. 28 for arraignment. DERBY – Fourteen-year-old Vera Rivard has been selected as one of Vermont Sports Magazine’s 2018 Athletes of the Year. Vera and her family live in Springfield, NH and have a summer camp in Derby with access to Lake Memphremagog, where she trains. During the winter she swims with Upper Valley Aquatic Club. In July of 2018, Vera became the youngest swimmer, male or female, to swim the 25-mile length of Lake Memphremagog, which she did in 16 hours and 24 minutes. Just as impressive, she did so against fierce headwinds during the first 15 miles, which knocked five other experienced swimmers out of the water, leaving her among only two who finished in Magog. In August of 2018, she also completed the NEK Swim Week, 8 Lakes over the course of 9 days, double-crossing Lac Massawippi and Willoughby, for a total of 60 miles on all eight lakes. At the beginning of the year, in February of 2018, she became the youngest swimmer to participate in the Memphremagog Winter Swim Festival, swimming each and every event from the 25-meter hat competition to the 200-meter freestyle. This year, she leads a group of four youth swimmers participating in the festival, including her eleven-year-old sister Margaret. She started her open water swimming in 2014, when she was 10, with a 1-mile swim at Kingdom Swim and a 3-mile swim at Caspian. She has grown her distances each year since then. 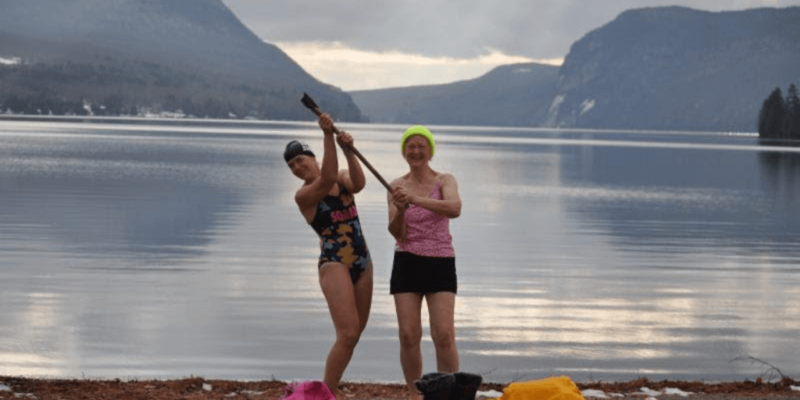 While she was swimming Kingdom Swim’s 10-mile course in 2016 around the islands of Derby Bay, she and her mother fell in love with the lake, and her family bought a summer camp in Derby, with access to Lake Memphremagog. DERBY — A 44-year-old man from Maine escaped uninjured after rolling his vehicle in Derby on Sunday. At around 8:50 a.m. police responded to the single-vehicle rollover on West Street. The operator was identified as Jeffrey Andrews, of Strong, ME. Police say he was traveling west in a 2009 Subaru Forrester at approximately 40 miles-per-hour before the incident. 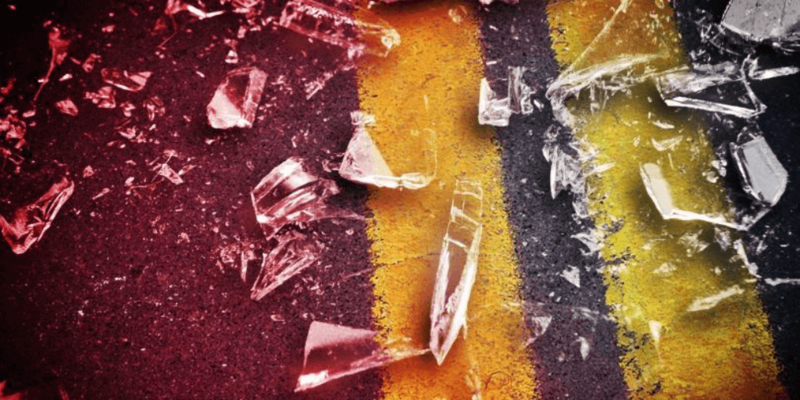 Andrews failed to maintain control of his vehicle leaving the north side of the roadway crashing into boulders and rolling over into the roadway. He was not injured, however, the vehicle was totaled. According to the police report, the roads were slick and snow covered at the time. ORLEANS — Police were called to Orleans this afternoon after a report that gunshots were fired into a parked vehicle. At around 1:30 p.m. police arrived at the scene on First Avenue. According to a statement issued by police, there was a family disturbance at the time of the incident. Nobody was inside the vehicle, and nobody was harmed. The suspect, Craig Daniels, 30, of Orleans, was not there when police arrived but he was located shortly afterward. Police allege Daniels shot a firearm into the parked vehicle and in doing so recklessly engaged in conduct which placed another person in danger of death or serious bodily injury. Daniels also damaged the vehicle which was not his. He was placed under arrest for reckless endangerment and unlawful mischief and taken to Derby for processing. Daniels was cited into court and released into the care of Northeast Kingdom Human Services. NEWPORT — Last month the Newport City Council approved a resolution authorizing Newport Parks & Recreation to pursue a $180,000 grant through the Vermont Land & Water Conservation Fund. The ambitious request will support a $400,000 proposed renovation to the playground and restroom facilities in Gardner Memorial Park, tentatively scheduled for the 2020 summer season. Centrally located, Gardner is the most well known of all city parks. The 20-acre parcel is home to several athletic fields including basketball courts, pickleball, soccer, football, baseball and softball fields. Each year numerous community events, concerts, farmers markets, and private gatherings are booked at the park, but most users visit for unstructured recreational use. Mac McKenny, foreman at Gardner Memorial Park says the playground is one of the biggest draws for the facility despite aging structures and lackluster play equipment. Mckenny also says there are concerns around safety and accessibility for some of the outdated structures. Gardner Park Restoration, a local parent-volunteer group, successfully raised about $15,000 toward the purchase of new equipment over the past few years. “People don’t know that a single slide can cost $2,000-4,000, and larger structures start around $30,000. It adds up quickly,” says Jenn Smith, chair of the Newport Recreation Committee and lead of Gardner Park Restoration. Smith says the community is ready for something more than a few replaced elements at the park and they’re pleased to know that fundraising efforts will help the city pursue large grants that require a cash match. “We’d rather see the restoration funds leveraged for the bigger picture, rather than spent on one or two small pieces of equipment,” Smith added. The proposed renovation includes a reorganization of the play area layout with more room for picnicking, age-appropriate play structures, accessible surfacing, a sail-shade pavilion, and the biggest crowd pleaser, a new splash pad. “When we share the idea, that’s always the wow-factor,” said Booth. Splash pads are outdoor play areas with shoots of water spraying up from the ground. They’re popping up in parks all over the country as a safer, lower maintenance alternative to public pools. 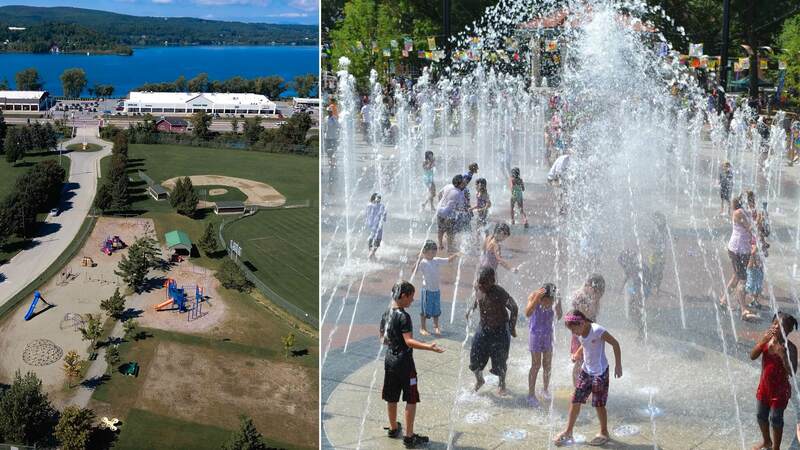 With Gardner’s proximity to Lake Memphremagog and downtown, Booth thinks the addition of a water feature like this has the potential to put the park on the map and make it the destination it should be. A splash pad in Gardner Park would be one of the first in the state developed in a public park, preceded only by Bennington, which is set to open their pad this spring. The project at Gardner Park will also include improvements to pedestrian safety and upgrades to the restroom facility to support increased patronage. While much of the project will be grant funded, Parks & Recreation has enlisted the help of the Recreation Committee to help close the $200,000 fundraising gap between now and July of 2020. “The Restoration funds are a start, but there is still much work to be done before this plan will become reality,” said Smith. Over the next 18 months, the Recreation Committee will spearhead a variety of fundraising events and welcome donations from private businesses or families who wish to contribute to the project. 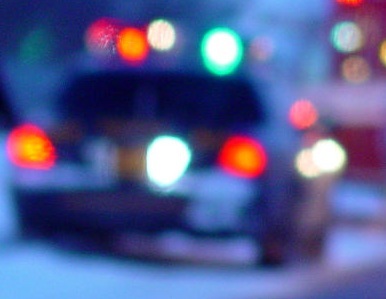 BLOOMFIELD — Police are investigating an assault that took place at a New Year’s Eve party in Essex county. 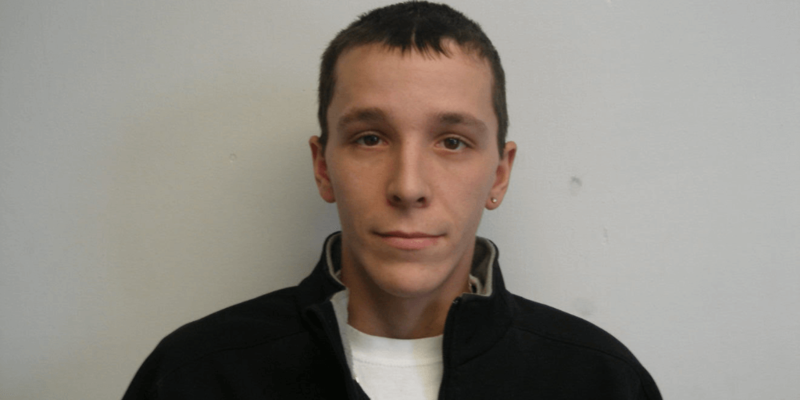 The victim has been identified as Dominic Gilbert, 34, of Colebrook, NH. 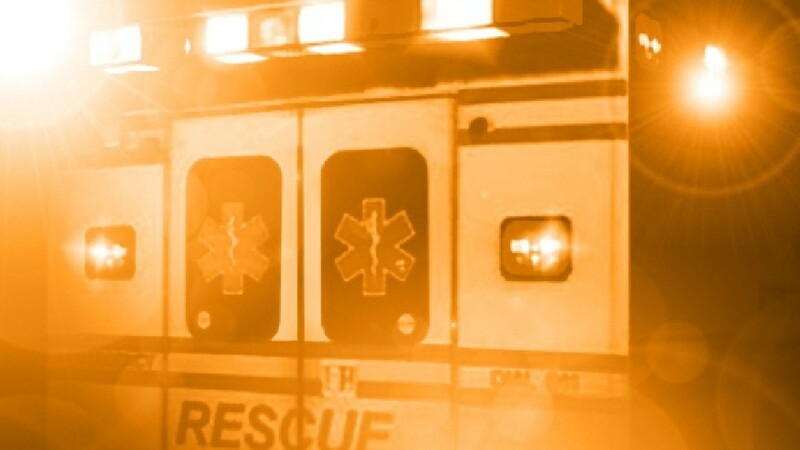 He was transported to Upper Connecticut Valley Hospital to be treated for extensive injuries to his face. He was later transported via ambulance to Dartmouth Hitchcock Medical Center. 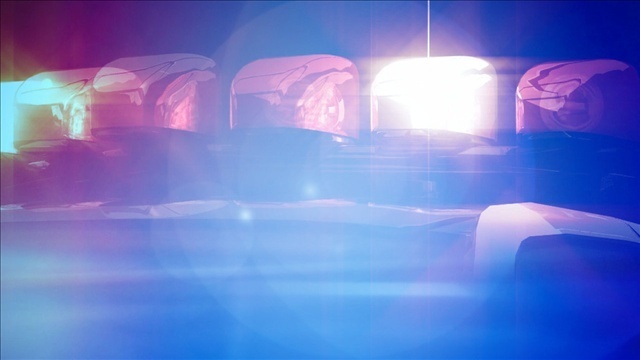 The Vermont State Police and the New Hampshire State Police opened an investigation, and say that the incident took place at a large New Year’s Eve party located on Vermont Route 105 in Bloomfield. Police say numerous persons of interest and a suspect have been identified. “This is an isolated incident and there is no public safety concern at his time,” trooper Darren Annis said in a statement. Anyone with information regarding this incident is being asked to contact the Vermont State Police in Derby. 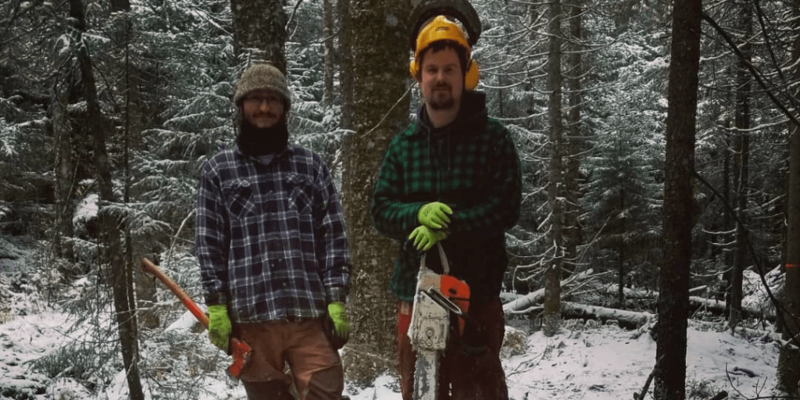 EAST CHARLESTON — The NorthWoods Stewardship Center Conservation Corps’ Watershed Crew has completed its fourth year implementing water quality improvement projects throughout Vermont. Since 2015, the NorthWoods Watershed Crew has installed infiltration steps, open-top culverts, rain gardens, dry wells, dripline trenches, water bars, culverts, and many more stormwater management practices that are designed to help prevent sediment and other water quality detractors from entering into the region’s surface waters. In 2018 alone, the NorthWoods summer youth crew and adult fall pro crew planted 148 perennial plants, installed 65 infiltration steps, 40 waterbars, 13 open-top culverts, a rain garden, a 4,000-gallon vegetated swale, and 5 culvert headers. They also implemented a fiber coir log with rock toe bank stabilization design on an eroding lakeshore. 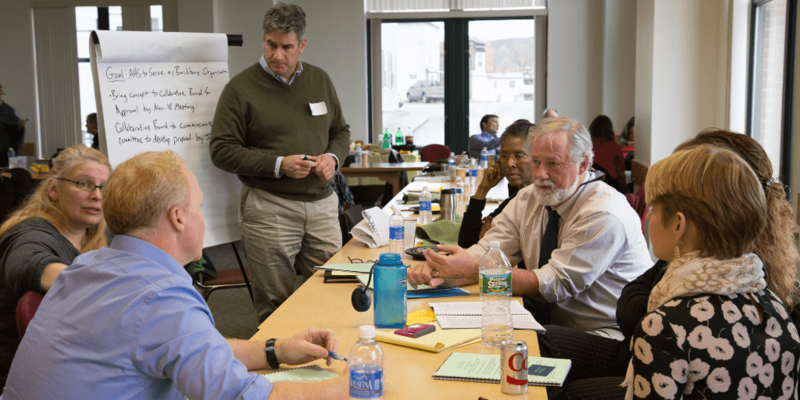 While the projects completed had a wide range of partners, components, tool requirements, and scopes, they all shared the common goal of completing vital, practical steps toward improving water quality throughout the state of Vermont. NEWPORT — An 18-year-old driver escaped uninjured after crashing into a utility pole in Newport Center on Monday. At around 9:15 p.m. police responded to the single-vehicle crash on Searles Road. Police say the driver, identified as Rider Morse, of Jay, traveled off the road and struck the utility pole, snapping it in half. According to the report, Morse was not injured during the crash, but the vehicle, a 2008 Nissan Altima, had to be towed from the scene. Vermont Electric responded afterward to replace the utility pole. IRASBURG — A 21-year-old man from Albany was killed during a crash in Irasburg this afternoon. Emergency workers were dispatched to the collision which took place in front of Bob’s Quick Stop. 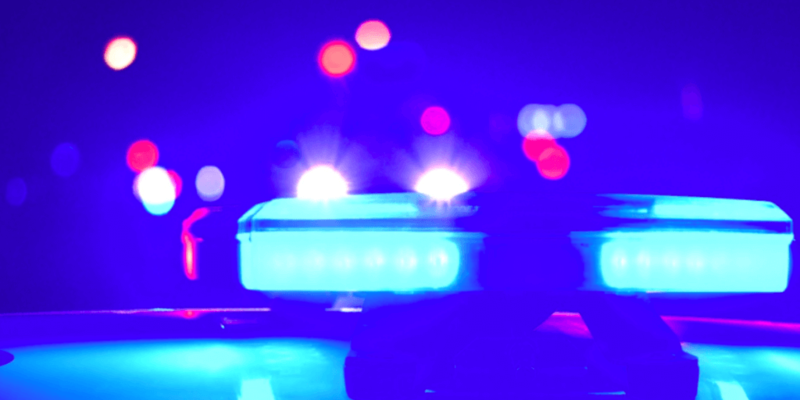 According to police, Walter Earle, 65, of Irasburg, was headed south on Vermont Route 14, when Laine Ross, 21, of Albany, attempted to enter the convenience store. Police say he pulled in front of Earle, who attempted to brake, but was unable to avoid hitting Ross’s vehicle which had crossed over into his lane of travel. Ross was pronounced dead at the scene. Both vehicles entered the parking lot area of Bob’s Quick Stop and struck three unoccupied vehicles. Police say the investigation is still ongoing at this time. IRASBURG — A 49-year-old Irasburg man is facing charges after a single-vehicle crash in Irasburg on Monday night. Police responded to the scene on Vermont Route 14 at around 9:00 p.m.
Police say they met with the driver, identified as Albert Cole, inside the ambulance. According to the report, Cole drove off the road and rolled the vehicle, coming to a stop just feet before striking a house. He was the only occupant inside the vehicle. Police say he suffered minor, non-life threatening injuries. “Further investigation revealed Cole was impaired. Cole was arrested for suspicion of DUI and transported to the Derby barracks,” a statement issued by trooper Mikkola reads. He was later released on a citation to appear in court. NEWPORT – The Vermont Fish & Wildlife Department is beginning an angler survey on Lake Memphremagog this December. The survey will extend through November 2020 and will survey anglers on both the American and Canadian sections of the lake. Clerks from the department will interview anglers on the lake 2 to 4 days per week, including Saturdays and Sundays during the survey period. Survey activities will include visual counts of anglers, interviews of anglers to obtain information about the fishing effort, catch and harvest rates, and biological data such as the length, weight, and age of fish kept by anglers. The Great Lakes Fishery Commission funded the two-year survey. Lake Memphremagog is over 30 miles long. Three-quarters of the lake is in Quebec, however, three-quarters of the land area that drains into the lake, is in Vermont. Emerson emphasized to anglers that all information shared with the survey clerks will remain confidential. 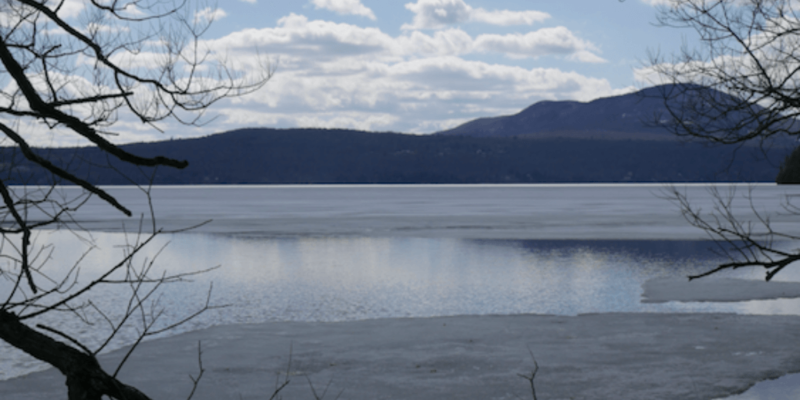 “Ultimately, anglers providing honest, accurate information will allow us to manage the resource moving forward and ensure that quality fishing opportunities remain in Lake Memphremagog for years to come,” he said. NEWPORT — The driver during a fatal crash in West Charleston that took the lives of two Orleans County residents back in 2016, has been sentenced. Earlier in the year Joshua Cole pleaded guilty to charges of manslaughter and gross negligent operation, and last week was sentenced to serve eight to 15 years behind bars. Back in May of 2016, Cole was driving a 1994 Honda Prelude in the town of West Charleston when he lost control while exiting a sharp corner. The vehicle traveled off the north side of the road, where it struck a large tree. Three passengers in the Honda at the time were all ejected from the vehicle. Esperanza Robles, 29, of Derby Line, and Ryan Coulter, 26, of Newport, were killed during the crash. Amanda Letourneau, of East Charleston, suffered head and leg injuries. Investigators said that speed and alcohol were both factors in the crash. While facing manslaughter charges, Cole was arrested in Holland back in August of 2017, after police said he was driving an ATV and almost ran into a car on Gore Road. After the new charges, a judge ordered that he be held without bail pending the trial in this manslaughter case. 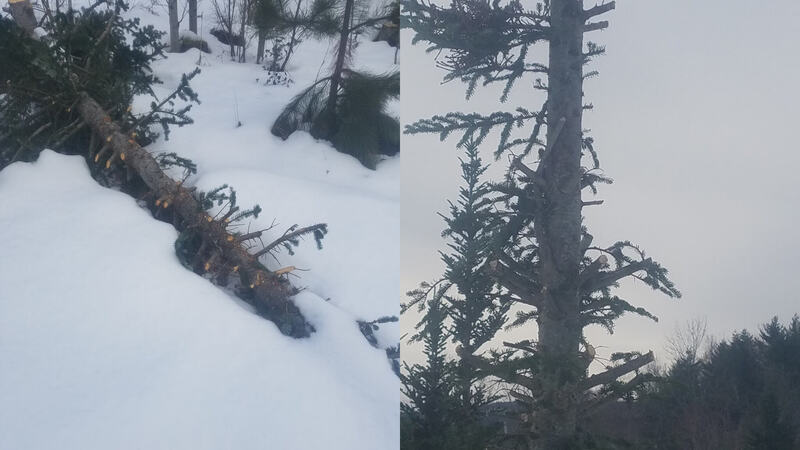 BARTON — Police are investigating the theft of brush and Christmas trees from a tree farm in Barton, and the owner is offering a $1,000 reward for information that leads to an arrest. The owner of the farm told police that an unknown individual or individuals had gained access to his property on Fulton Lane through a locked gate by cutting the lock, sometime around November 23. Dowd says those responsible stole several thousand dollars worth of Christmas trees and brush from his property, as well as a game camera which he was using for security purposes. He is offering the $1,000 reward to help find out who did this. Police say the investigation is ongoing and anyone with information is asked to please the Sheriff’s Department at 802-334-3333. “It’s very discouraging when something like this happens,” Dowd added. Trevor Evans leading a workshop on his property in Derby. EAST CHARLESTON — The NorthWoods Stewardship Center recently announce that Trevor Evans of Derby will receive this year’s George Buzzell Forest Stewardship Award. The award is given annually to a person who has made significant contributions to sustainable forestry and education in the Northeast Kingdom. Evans has shown an exceptional commitment to managing his own forestland in Derby since the 1980s and is an active member of many forestry organizations. 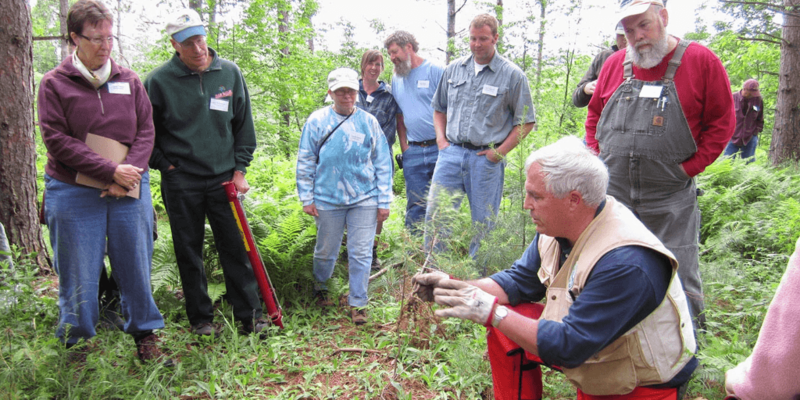 Over the years, he has been sharing his knowledge and passion for good forestry with students, landowners, and foresters. In addition to his outstanding efforts to promote sustainable forestry, Evans was a friend and colleague of the late George Buzzell, and the two collaborated on managing his forestland. “Evans carries the spirit and dedication that George brought to his work, and NorthWoods is honored to recognize this with the 2018 George Buzzell Forest Stewardship Award,” Sam Perron, Sustainable Forestry Coordinator at NorthWoods, said. Evans will be presented with the award at a ceremony on February 5, 2019, at 6 p.m. at the NorthWoods Stewardship Center. 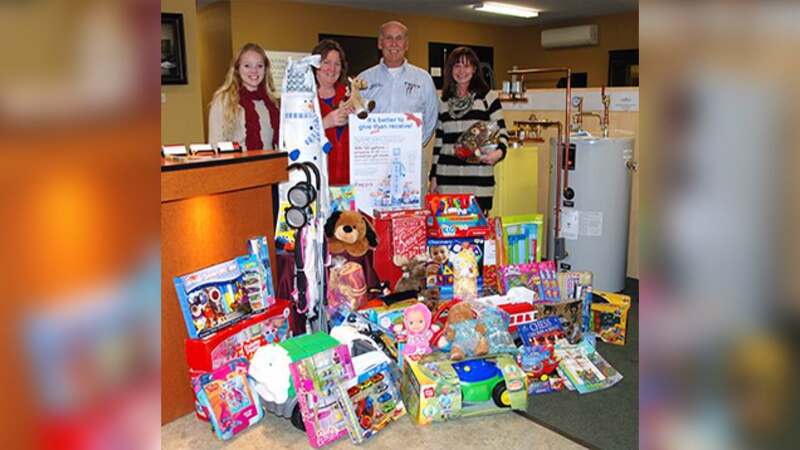 (left to right) Fred's Energy Derby office receptionist Desiree, NEKCA's Merry Hamel, Fred's Energy General Manager Dennis Percy, and Rachel Twofoot from Northpoint with toys dropped off to the Fred's Energy Derby office. DERBY — This holiday season, Fred’s Energy helped to collect donations for local toy drives at each of their three office locations. The Fred’s Energy Derby office collected for the NEKCA and Northpoint Toys for Kids toy drive. Toys for Kids is helping approximately 191 families this year. In addition, for every toy dropped off, donors were eligible to enter for a chance to win 100 gallons of propane or oil and a 3 foot tall snowman gift tower filled with holiday treats. Cindy Royer of Barton was selected from the entries at the Derby office. The Fred’s Energy Lyndonville office collected for the St. Johnsbury Fire Department Kingdom Santa Fund. The fund will be helping approximately 500 families this year. The Fred’s Energy Morrisville office collected toys for The Lamoille Family Center Holiday Project. The project will be helping 323 children this year. All donated toys are being distributed locally. 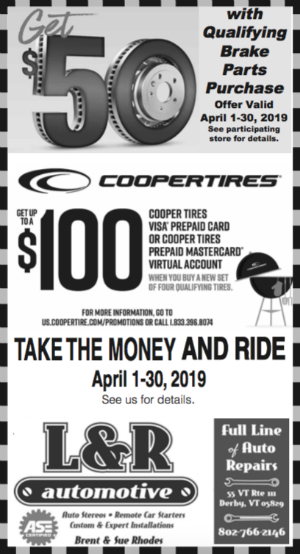 Becky Gonyea of Morrisville was the winner selected at the Morrisville office. The winner from the Fred’s Energy Lyndonville office asked to make an anonymous donation of the fuel to be split between two households in need. 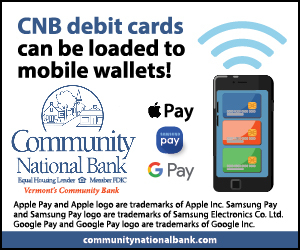 NEWPORT — The Memphremagog Watershed Association (MWA) recently received a $4,500 grant from the Vermont Community Foundation’s Northeast Kingdom Fund. The grant will help the association’s mission of protecting and preserving the environment and natural beauty of the watershed by providing hands-on education for area elementary school classes. 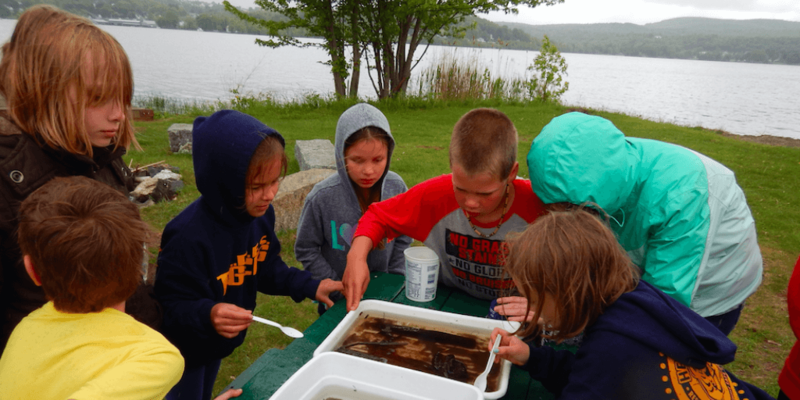 The Youth Discovery Program is an educational field trip program for elementary school classes on Lake Memphremagog. Students learn about the watershed, challenges, and conservation solutions. “The program has received tremendous support from local businesses and volunteers over the years, and this new funding will allow us to build on our community support to further enhance the educational experience for our local elementary school students,” Lambert added. The MWA is a non-profit that was founded in 2007. 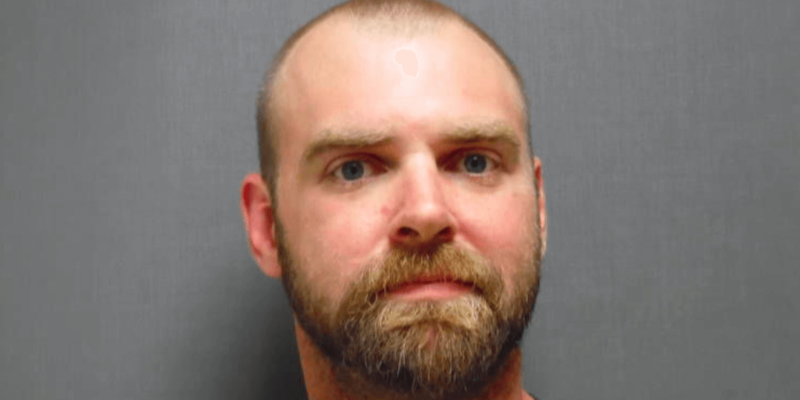 DERBY — Police are looking for a 31-year-old fugitive considered armed and dangerous after he fled police with several children in his vehicle. According to police, Lucas Putvain was spotted traveling on West Street in Derby when he saw a marked state police vehicle. Putvain fled at a high rate of speed. He was last seen traveling east. Police say they did not initiate a pursuit because of the children in the vehicle. Putvain is wanted for an armed robbery that took place in Newport back in November, in which he and an accomplice ordered a man into a vehicle at gunpoint. Putvain is charged with assault and robbery, unlawful restraint in the first degree, and in possession of a deadly weapon while committing a crime. Police say he is armed and dangerous and should not be approached. Anyone with information regarding Putvain should immediately contact the Vermont State Police. Pam Ladds of Newport, and Julie Zeitlinger of Sutton, Quebec, ready to swim at Lake Willoughby, on December 15. 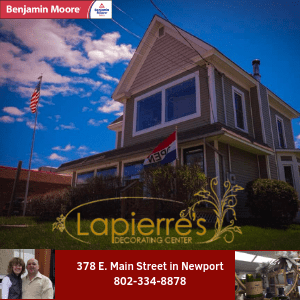 WESTMORE — Winter swimmers around North America are hard at it training and qualifying for the Fifth Annual Memphremagog Winter Swim Festival coming up on February 23-24, 2019 in Newport. Two locals, Pam Ladds of Newport, and Julie Zeitlinger of Sutton, Quebec, took advantage of the open waters at Lake Willoughby on Saturday. Water temperature was about 35 degrees. Willoughby stays open later than most lakes in the region because it is so deep under the cliffs, making it a perfect venue for winter swimming, late into December and even early January. So far, almost 80 swimmers have signed on to the Festival in February, with room for about 20 more.